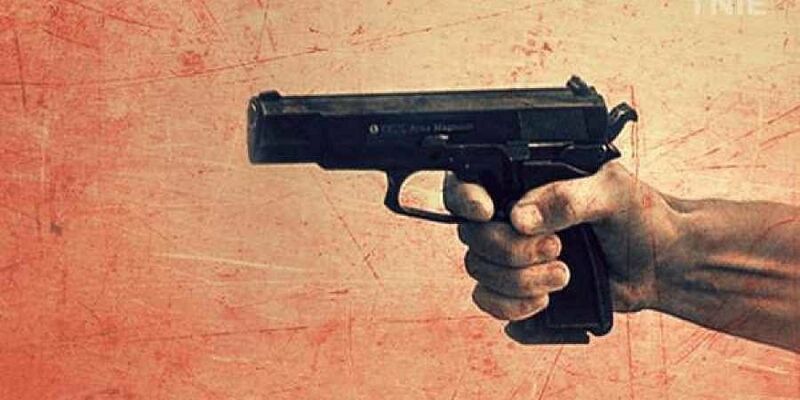 Inspector Ashish Kumar Singh, the station house officer (SHO) of Pasraha police station who led the raid on the criminals’ hideout, received bullets in his chest and was rushed to a hospital. PATNA: A police officer was killed and a constable was injured in a fierce gun battle between a gang of criminals and the cops in Bihar’s Khagaria district in the early hours of Saturday, prompting the Opposition parties to target the state government over the rise in criminals’ audacity. Inspector Ashish Kumar Singh, the station house officer (SHO) of Pasraha police station who led the raid on the criminals’ hideout, received bullets in his chest and was rushed to a hospital, where he was declared dead upon arrival. Constable Durgesh Kumar received a bullet in a leg and is being treated at Bhagalpur. One of the criminals also died in the encounter, which took place in the Salarpur diara (sandy stretch) on the banks of the Ganga along the border of Khagaria and Bhagalpur districts. Singh, a 32-year-old officer of the 2009 batch, was leading a team of four policemen after getting a tip-off about a gathering of criminals from Dinesh Muni’s gang in the diara. Muni is a notorious gangster wanted in over 20 cases of murder, abduction and loot in eastern Bihar districts. Upon seeing the cops, his men started firing at the cops, who then retaliated. Sources said there was a heavy exchange of fire between the two sides. “Ashish Kumar Singh was a brave officer, and the police force is proud of his heroic deed. The state government has released an ex-gratia of Rs 10 lakh for his next of kin and offered a job to a person from his family,” said Bihar police ADG (headquarters) SK Singhal. A criminal injured in the firing by police was later found dead, he added. The operation against the criminals, which started at about 1 AM, was based on proper information, said Singhal. “Reinforcements were immediately sent to the diara after the encounter began. Raids are being conducted in the entire area by a Quick Response Team and Cheetah Force to nab the criminals who fired at police,” he added. Mrityunjay Singh, president of Bihar Policemen’s Association, accused the police brass of deploying cops for raids on criminals without enough planning. “The loss of an officer’s life at the hands of criminals is tragic. This encounter should be investigated to see if there was enough planning for it,” he said. Opposition leader Tejashwi Yadav of RJD attacked Chief Minister Nitish Kumar over the incident, saying: “Nitish Kumar keeps saying that all is well in Bihar. But criminals are now killing police officers after targeting common citizens. All these points at the total failures of the state’s police machinery and the government”.